Two requirements Auckland Council needs to do is to produce a Long Term Plan, and an Auckland Plan both which are reviewed and updated on a regular basis. A Long Term Plan is a ten year budget document that sets out how Council will: raise revenue, spend those monies on operational expenditure (OPEX) and commit to investment on capital projects (CAPEX). The Long Term Plans are updated every three years (Auckland is due for the next iteration next year) and all Annual Plans (annual budget documents) will follow what is set out in the respective Long Term Plans. The Auckland Plan (Auckland Spatial Plan) is a thirty year document outlining Auckland’s future, goals and aspirations. The Auckland Spatial Plan does ‘dictate’ how the Unitary Plan should form while also guiding how the Long Term Plans should pan out. The Auckland Plan is going under a refresh at the moment and has been stated that is it is rather bland right now by both Greater Auckland (A new Auckland Plan is progressing – but it’s a bit bland) and myself (My Feedback to the Auckland Plan Refresh). Both the Long Term Plan and the Auckland Spatial Plan have their strengths and weaknesses however, overall the concepts of both documents have merit to being applied to Central Government as well. The Minister of THUD (Transport, Housing and Urban Development) Phil Twyford gave an interview to The Nation on Saturday outlining his goals for his (well super) Ministry on what he wants done in Auckland. That is: a good portion of the Kiwi Build’s 100,000 homes and transport getting a good kick up the back side (resetting the Auckland Transport Alignment Project). The Finance Minister is required to deliver a Long Term Plan of which Budgets then follow just as Councils do. The Government LTP is 10 years in length and is updated every three years again like Councils have to do. The Government Long Term Plan would give how it will raise revenue and how that monies would be spent on a more long-term basis than what we get currently with an Annual Budget. This way the nation knows with better certainty how which way the things will go and can make their “plans” accordingly. 100,000 Kiwi Build homes would be an excellent example of mapping out in a 10 year LTP so that Councils and the private sector can make their plans for such a large pipeline of a project. A heavy transit investment agenda would be another to avoid a pile up at the front and clogging the pipeline down the other end. Twyford as the Minister of THUD has outlined a very large housing, transport and urban development program. There are two ways it can go; ad-hoc or done brilliantly. If you want ad-hoc National’s Special Housing Areas is an example, if you want brilliance than producing an Auckland Spatial Plan would be a solution. While Auckland has produced its Plan it can be dependent on Government priorities especially when a large investment scheme has been committed to within the first ten years of this current Government Administration. Like an LTP Minister Twyford should produce his version of a Spatial Plan (applicable to the respective urban areas up and down the nation) that outlines his goals and aspirations with Kiwi Build and the transport investment program. Already every three years a Government Policy Statement is required on transport (next one is due next year) so we at least have a start somewhere. That GPS can be transplanted onto this new 10 year Spatial Plan outlining transport investment and program goals over a longer time frame. The Spatial Plan would be updated every 3-5 years to reflect a changing environment. Again the Spatial Plan at Government level would give Council and the private sector a long-term pipeline of projects and programs that will happen. That pipeline gives certainty, certainty gives stability through the respective sectors having a framework they can base their plans around. Should Government adopt Long Term Plans, and Spatial Plans to give Councils, private sector and the people better certainty that goes beyond a three year election cycle? Should the Southern Airport Line be Light Rail or a Busway? 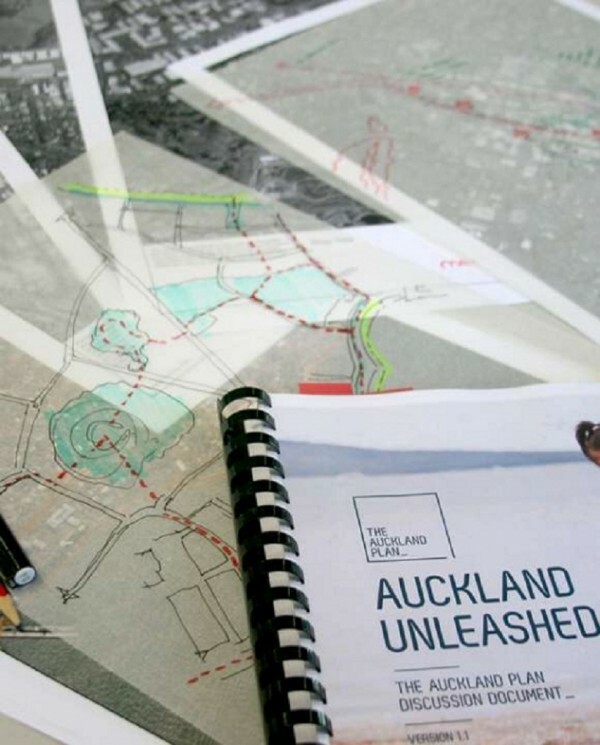 Is the Auckland Plan Refresh Bland?